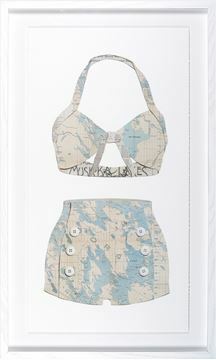 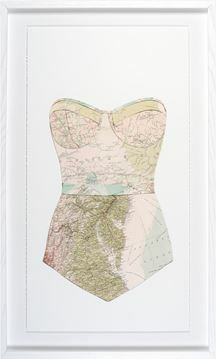 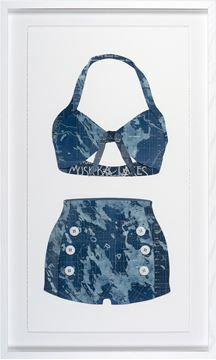 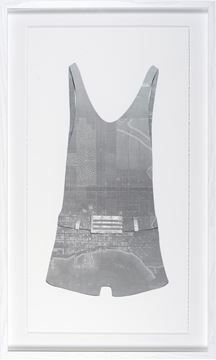 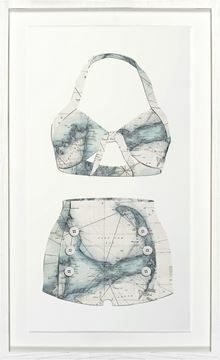 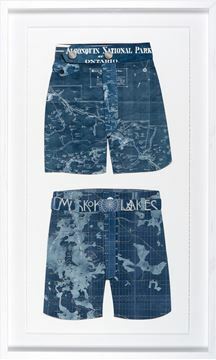 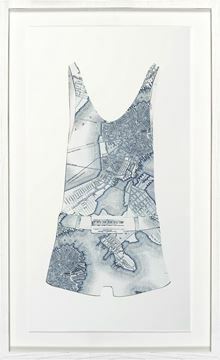 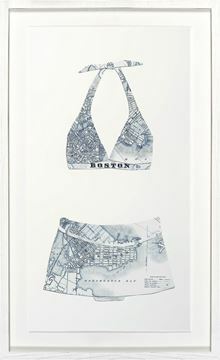 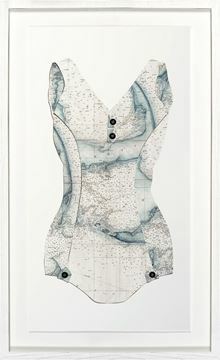 Shapely retro bathing suits cleverly made of maps of Canada's and America's favourite playground. 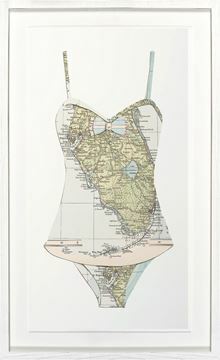 No surprise these shapely retro bathing suits cleverly made of maps of Canada’s and America’s favourite playgrounds are a big hit. 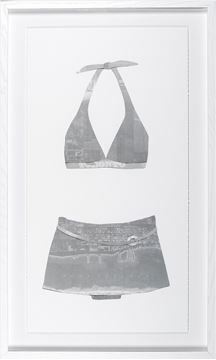 Cool greys of Quebec and Ontario grace these pieces presented with torn edges, framespace and raised image and a clean, white, washed frame.